US NEWS: TV shows join iTunes in the Cloud | What Hi-Fi? Owners of Apple TV – at least in America – can now stream TV shows they've bought from the iTunes Store and watch them on-demand whenever they want. 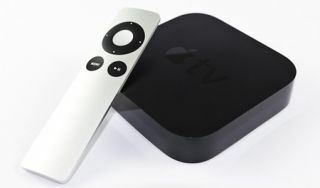 Apple TV software update 4.3 means owners are no longer restricted to watching the more limited range of TV shows available for rental over a fixed period of time. Instead, they can stream shows they buy as often as they want. The software update adds a tab for 'Purchased' shows so owners can access all the TV shows they've bought from the iTunes store via the Cloud. The iTunes iCloud service also gives iPhone, iPad and iPod Touch owners a 'Purchased' tab in the iTunes app so they can re-download previously bought TV shows to multiple devices. For now the addition of TV shows to the iTunes iCloud is US only, but let's hope it and the similar iTunes music cloud service will be rolled out in the UK soon.